Born: 22 October 1874, Groningen, The Netherlands. Died: 12 March 1952, Pretoria, South Africa. During his early years at the museum Swierstra collected many Lepidoptera, but also other insects, spiders, scorpions and other zoological specimens. For example, during 1905 he collected Hymenoptera, Coleoptera and Diptera along the Plat River, north of Pretoria; then went on a collecting trip to the Zoutpansberg district with the museum's taxidermist, F.O. Noome*, collecting insects, birds, fishes and ethnographic specimens from October to December that year; and the next year went on excursions to the Magalies River and the Pienaars River with the museum's botanical assistant, Miss R. Leendertz*, where he collected insects and fishes. Many of the species he brought back were new to the museum's collections. In 1914 he led the first Tsetse Fly Research Expedition to Zululand, where he was assisted by R.E. Symons*. In 1909 Swierstra published his "Check list of Lepidoptera-Rhophalocera [butterflies] of the Transvaal, with notes on some of the species", in the Annals of the Transvaal Museum (Vol. 1(4), pp. 235-299). Other contributions by him published in the Annals dealt with some rock engravings found in the Transvaal (1908), descriptions of three new butterfly species (1909), and a collection of butterflies made in Mozambique by the director of the museum, Dr H.G. Breijer (1915). In January 1908 Swierstra became a foundation member of the Transvaal Biological Society and in 1916 a foundation member of its successor, the South African biological Society. For a short period around 1906 and again from 1915 he was a member of the South African Association for the Advancement of Science. 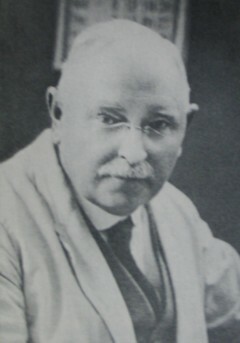 He became a member of the Royal Society of South Africa in 1908. In recognition of his work on insects he was elected a Fellow of the Royal Entomological Society. He became a foundation member of the Entomological Society of South Africa in 1937. In April 1936 he convened and chaired a meeting in Kimberley at which the South African Museums Association (SAMA) was formed and was elected its president for the first year. Annals of the Transvaal Museum, 1908-1909, Vol. 1; 1915, Vol. 5. Brain, C.K. & Erasmus, M.C. The making of the Museum professions in southern Africa. Pretoria: Transvaal Museum and SAMA, 1986. National Archives Repository (TAB), Source MHG, Vol. 0, Ref. 1758/52: death notice, Cornelis Jacobus Swierstra. National Automated Archival Information Retrieval System (NAAIRS). . Documents relating to Swierstra, Cornelis Jacobus / Swierstra, C.J. Ploeger, J. Nederlanders in Transvaal, 1850-1950. Pretoria: Van Schaik, 1994. South African Journal of Natural History, 1918, Vol. 1(1), pp. 8-15: Roll of Foundation Members [of the SA Biological Society]; 1920, Vol. 2(2), pp. 293-301: Roll of Member. Transvaal Colony. Report of the Colonial Secretary's Department, 1903/4. Transvaal public service list, 1909. Union of South Africa. Public service list, 1914.